McLaren has unveiled a special edition of its P1 hypercar to mark the 30th anniversary of Ayrton Senna's maiden Formula 1 world title victory. Senna was crowned world champion for the first time in 1988, besting Alain Prost in a campaign that the McLaren teammates utterly dominated. Senna or Prost took victory in all grands prix bar one in 1988 – a memorable and emotional Italian Grand Prix victory for Ferrari's Gerhard Berger shortly after team founder Enzo Ferrari's death. Although Prost won more points than Senna (105 to 94) – the Brazilian was crowned thanks largely to winning a race more than his teammate as only a drivers' best 11 results counted towards their championship total. Further honouring the Brazilian icon, the McLaren Senna was revealed earlier this year, boasting incredible specifications including a top speed of 211 mph (340 kmh) and the capacity to go from 0-60 mph (0-100kmh) in a breathless 2.8 seconds. The hybrid P1 is similarly exhilarating and capable of reaching a warp-speed 217 mph. 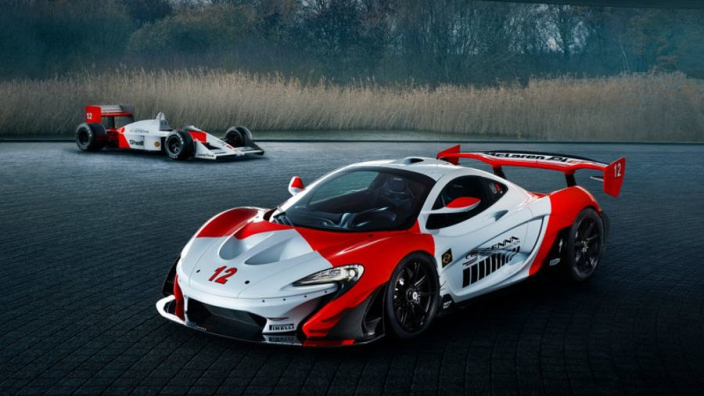 The special edition machine comes in the iconic white and red McLaren livery of Senna and Prost's rivalry, as well as being fitted with more specialised fairings.